Events - Talks and Workshops. Albert Einstein's theory of relativity introduced a new framework for all of physics and proposed new concepts of space and time, and also showed that massive objects cause a distortion in space-time, which is felt as gravity. The theory transformed theoretical physics and astronomy in the 20th century, superceding a 200-year-old theory of mechanics created primarily by Isaac Newton. Far from being simply of theoretical interest, relativitistic effects are important practical engineering concerns. Satellite-based measurements needs to take into account relativistic effects, as each satellite is in motion relative to an Earth-bound user and is thus in a different frame of reference under the theory of relativity. Global positioning systems must take into account all of the relativistic effects in order to work correctly. This is also the case in the high-precision measurement of time. Instruments ranging from electron microscopes to particle accelerators would not work if relativistic considerations were omitted. 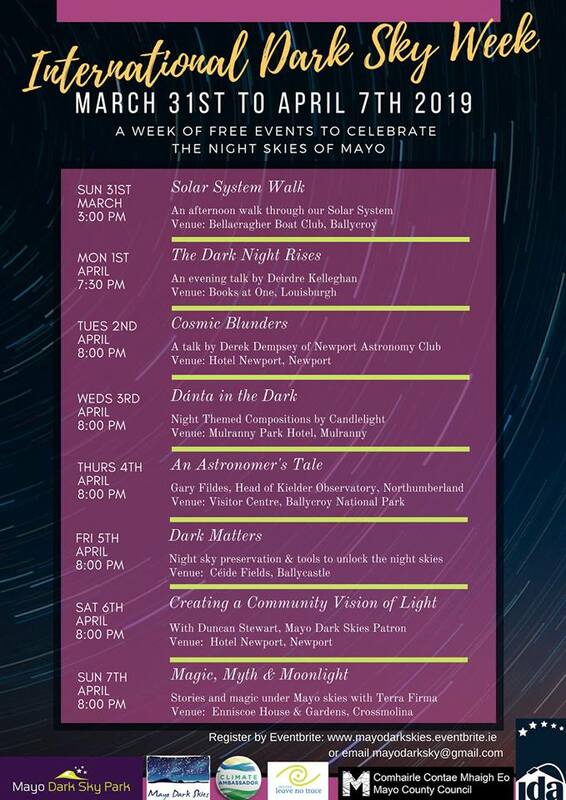 Brian MacGabhann has been a keen amateur astronomer since the age of fifteen and he regularly gives talks on astronomical topics. Until recently he was the Education Officer and Chair of the Galway Astronomy Club. He is also the co-founder and resident lecturer of the Renmore History Society, Galway's best-attended regular historical event. This talk, explaining Einstein's theories in a clear and accessible way, combines both of Brian's main passions - astronomy and history. The history of science is littered with ideas that once seemed beyond question, yet later were proved to be completely wrong. In astronomy, there are the ancient ideas that the Earth is flat and at the centre of the universe. There is no shortage of others from more modern times: Astronomers, like other scientists, can be seduced by an elegant theory which is then discredited as experimental data becomes available. Errors are an inevitable part of scientific process - this talk will describe some notable mistakes (made, in some cases, by very eminent scientists and astronomers), attempt to explain how they happened, and look at how newer theories then evolved. The next observing session will be scheduled soon, depending on the weather (and the midges!). Anyone out there with a telescope still in its box or gathering dust in the attic ? Get in touch - we can organize a workshop around getting you set up; you'll be enjoying the night sky through your own telescope in no time !